I saw a bunch of people I trust were playing Warframe and I heard interesting things about it on the Agrochat podcast. So I thought I'd give it a try! The first thing I noticed is that there's really bad player messaging. It's often hard to know what the game wants you to do or even what they're trying to teach you. It led to a lot of frustration right off the bat. But, I also noticed the fact that I was essentially playing a PVE game as a robot ninja... so I stuck with it for a bit. There's something satisfying in the core mechanics of the game and most of it comes down to that robot/ninja awesomeness. 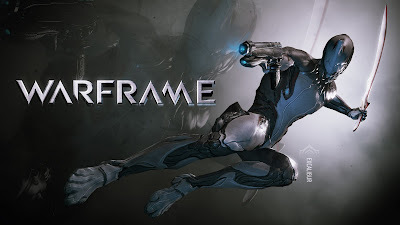 I can definitely see the possibility of a good game in Warframe but after spending a few hours with it I realized I'm not willing to slog through the bad explanations and player messaging to find it. Wow, yeah Digital Extremes are doing a bit here and there to help out with new players but it's still information overload. I had Warframe for years on PC and hated it. It wasn't til a blogger/Twitter friend was super enthused about playing (he ended up switching to PS4 so did I) and he taught me a lot. I'm still very noobish and I don't know anywhere near enough but at least I can get by and earn XP/credits, etc. But it's very fast-paced and the players who've been around awhile rush their way through things. Normally that's off-putting to me, and it was in Warframe, but I've just learned that's the pace Warframe was intended to be played at so I'm learning to adjust and accept it. The map and figuring out where the hell your team went and how to get to them takes time to learn but once you're there, the game can actually be quite fun. I'll give DE credit for being very active and listening to their players, too. I think if they had a good new player experience I could have gotten hooked on the game, but it was super offputting as a new player. If you're on PC, I think Belghast has become a fan of the game and could probably teach you things? I gradually learn on my own but man for awhile there (still actually) I was YouTubing Warframe stuff about as much as Elite Dangerous stuff, probably moreso. Now I'm getting into ESO so there goes more YT advice and tutorial video watching.